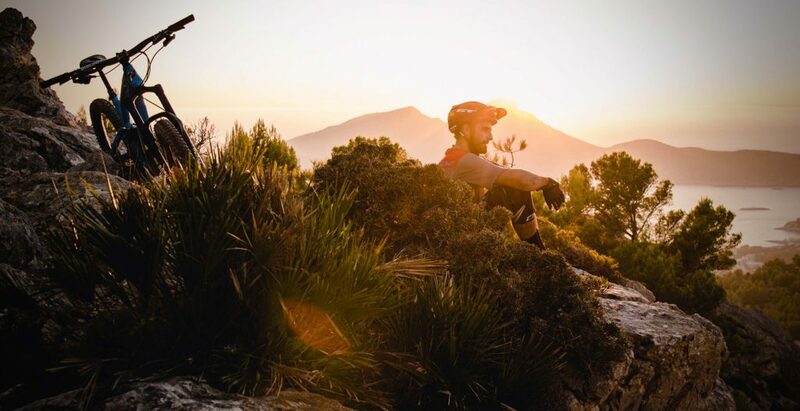 Join TSG’s Amir Kabbani as he travels to the small island of Mallorca where the weather is hot, the towns are busy, but the trails, dirt jumps and spectacular scenery are prime for riding. 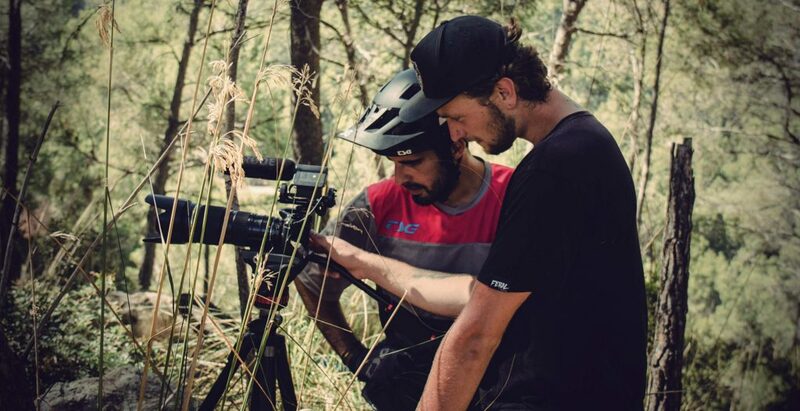 Amir’s buddy Sandro Szukat moved to Mallorca in his van this summer and told him how much potential for bike riding this Spanish island has. So Amir took his word for it and it didn’t take long until the trip was planned. They chose to go filming at possibly the worst time of the year as it was ridiculously hot, dry and busy. But they still had great fun driving through beautiful locations. 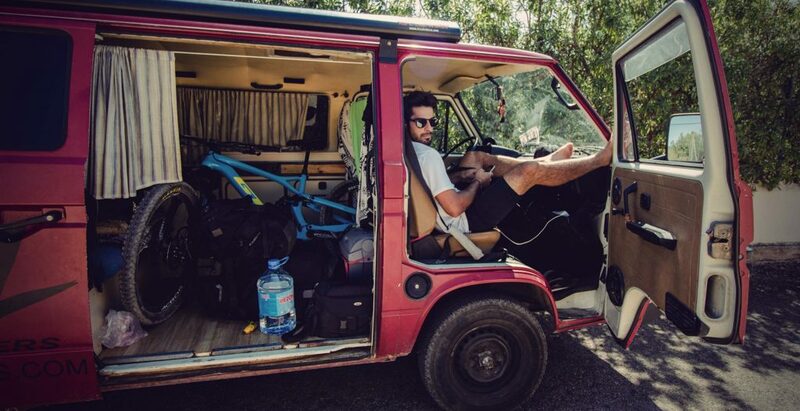 And the great thing about travelling around the island in a van is that they could always stop when they found rad trails or an interesting spot. I never thought there would be such a beautiful bay on Mallorca. 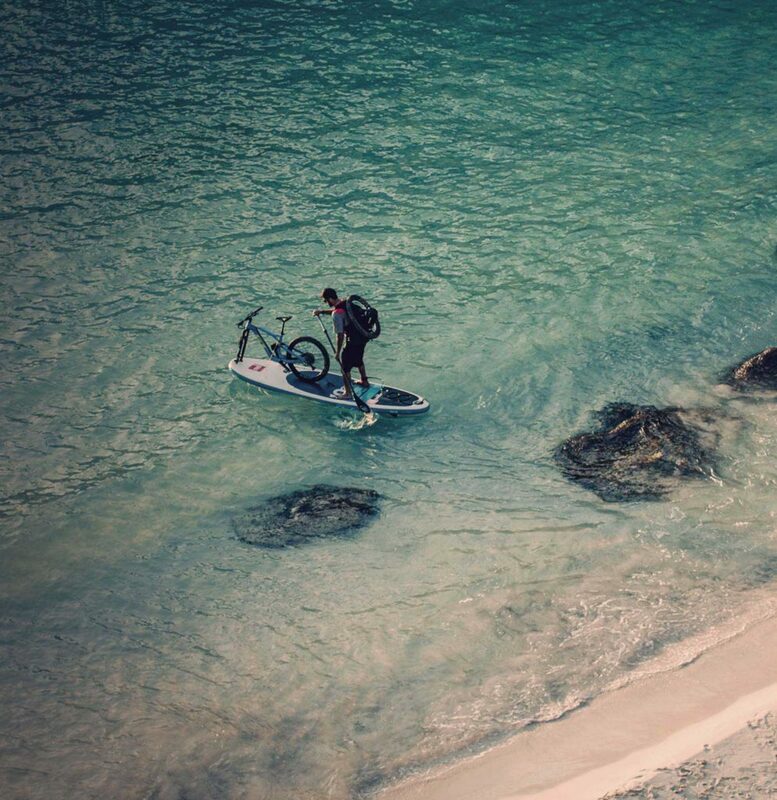 The SUP idea came to me and we just had to try it. Before the trip Amir had strong prejudices as he knew Mallorca only from the reputation of the party mile Ballermann/Magaluf. This quickly changed as he discovered that the island has so much more to offer with remote forest, deserted bays and relaxed little cafes. Thanks to Sandro’s Van we could get from one spot to the other and stay overnight when the film session was over. 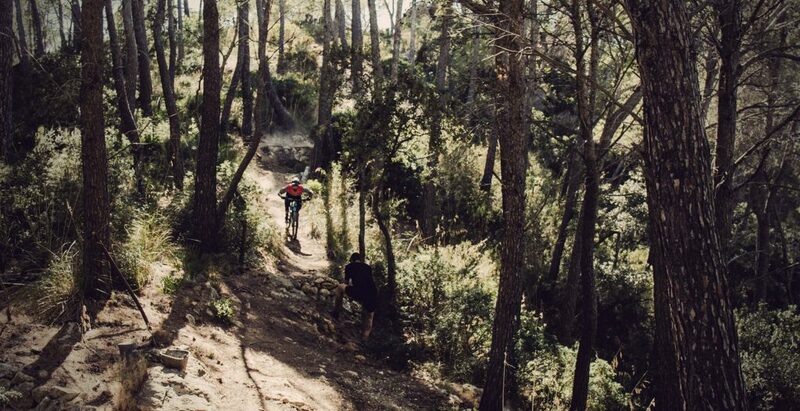 It was high season when we were on the island but in the forest we had our privacy and explored many great trails. 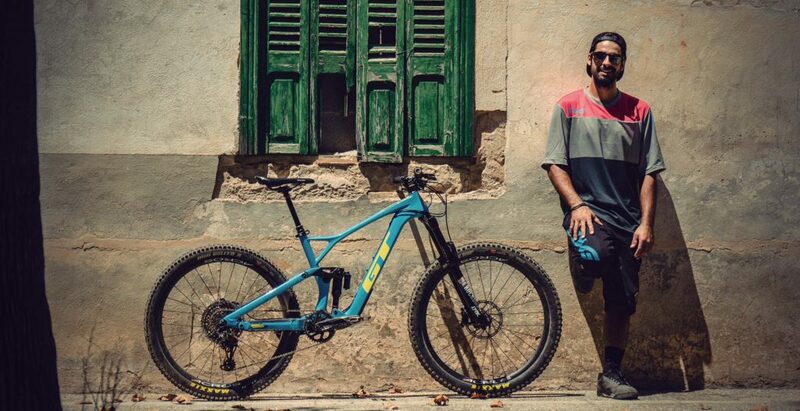 Amir posing with his new GT bike. Fascinated by the beauty and variety of the island. Now enjoy the Mallorca’s Treasures video and see just how beautiful an island it is. Amir Kabbani rides with our Scope enduro helmet. 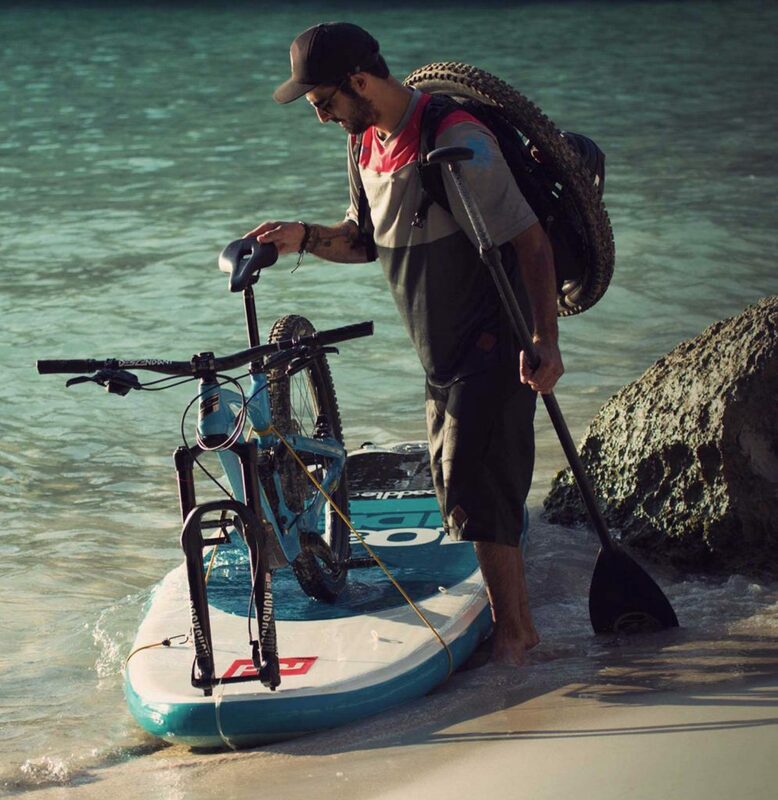 It was launched in fall 2018 and is a great choice for any enduro trip. Read about the benefits of the Scope helmet here.